The latest Nintendo bundle is now available at many retailers across the nation, just in time for the busy holiday shopping season. 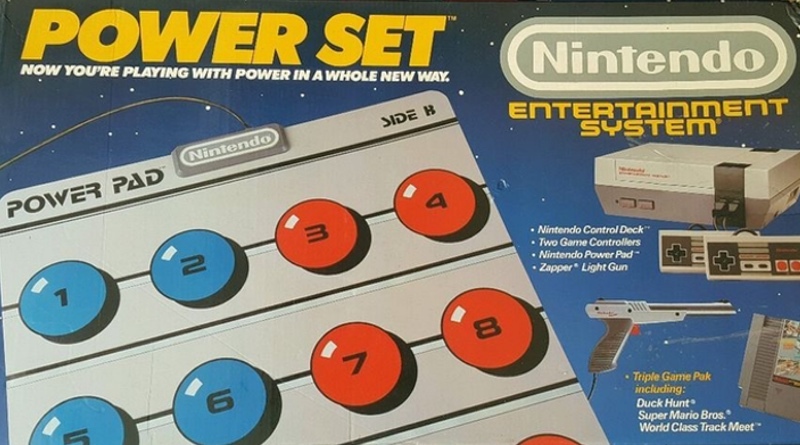 Called the NES Power Set, this package contains the NES Control Deck, two controllers, a Zapper, the Power Pad floor mat accessory, and a triple Game Pak containing Super Mario Bros., Duck Hunt, and World Class Track Meet. It carries a suggested retail price of $179.95, but most discount stores should be selling it for considerably less – somewhere in the $129 – $149 range. You can check it out in action with the two videos below. The first is a segment from a television show called The Gadget Guru. They show off Nintendo’s CES booth from two months ago and give a good look at the Power Pad and how it works. We also have the first NES Power Set commercial that has begun airing in certain parts of the country. Will you be picking up the Power Set? Summer 1988 CES – NES Power Pad & More | NES from Nintendo Times on Vimeo. Nintendo Entertainment System Power Set Commercial | NES from Nintendo Times on Vimeo.